The cold winter nights on London’s Piccadilly Circus, one of London’s most famous squares and home to the Shaftesbury Memorial Fountain, mistakenly better known as the Eros Statue, have become very dark as the square’s world famous video display was switched off earlier today. The Piccadilly Lights, one of the UK’s most iconic landmarks, were switched off to undergo an upgrade and are due to be unveiled in autumn 2017. London’s Piccadilly Circus has been surrounded by illuminated advertising hoardings since 1908. The signs originally used light bulbs which were later replace with neon lights. In 1998, digital projectors were first introduced and LED displays completely replaced neon by 2011. The first sign was for Perrier in 1908. 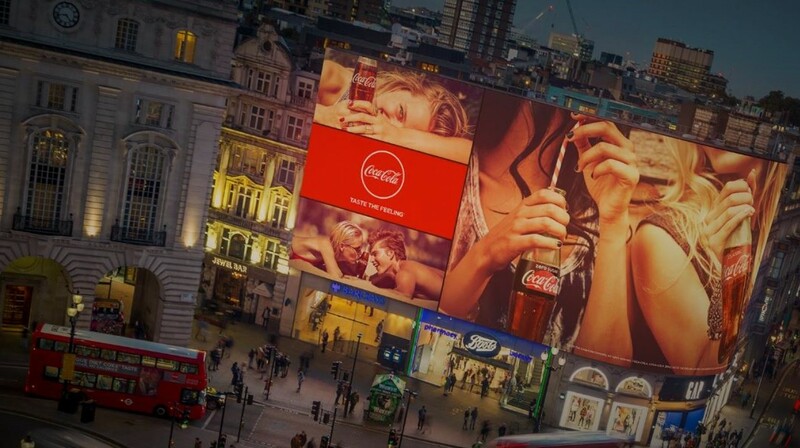 Since then, brands that have advertised at Piccadilly Lights include: BP, Canon, Cinzano, Coca Cola, Fujifilm, Hyundai, McDonalds, Panasonic, Samsung, Schweppes and TDK, which occupied the central curved screen for over 20 years. Land Securities, the UK’s largest property company and owner of the unique West End site is replacing the six existing screens with Europe’s largest single digital screen, which will retain its renowned curved shape, surface area and its ability to have a patchwork appearance. Advertisers will be able to take advantage of the screen’s ability to rotate between six full-motion sections, which will be shared, while also having the chance to harness brief single-brand takeovers of the complete screen. 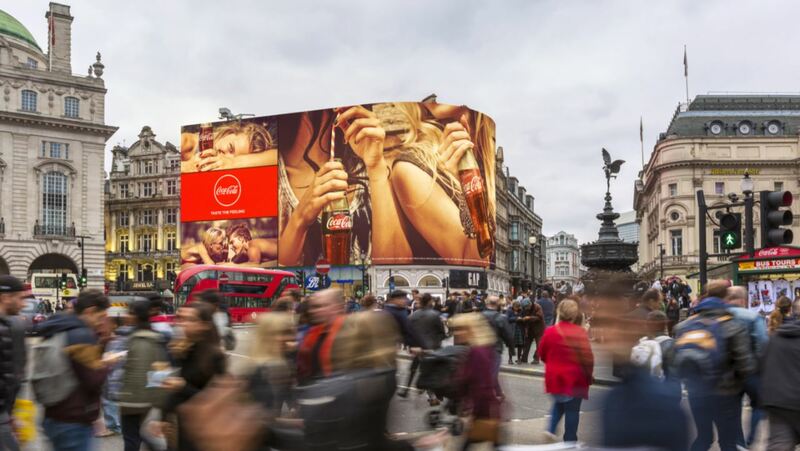 According to Land Securities the new Piccadilly Lights will be “a live, responsive site, enabling brands to explore innovative ways of creating experiences that emotionally resonate with customers and drive loyalty”. The new 4K resolution display, 17.56m (57.61 ft) high by 44.62m (146.39 ft) wide, will measure 784 square metres, making it one of the highest resolution LED displays of this size in the world. Connected to a high-speed fibre Wi-Fi network the screen will also be able to offer live video streaming , weather and traffic updates, sports results, flights and finance information as well as Twitter, Facebook and Instagram feeds in trillions of colours and exceptional brightness. Apart from occasional power cuts, Piccadilly Lights has in the past only been turned off during World War II, for Winston Churchill’s funeral in 1965 and Princess Diana’s funeral in 1997. It is also briefly turned off every year for Earth Hour. The new Piccadilly Lights are due to be unveiled in autumn 2017. In the meantime, a static advertising banner featuring the signed brands will be in place.